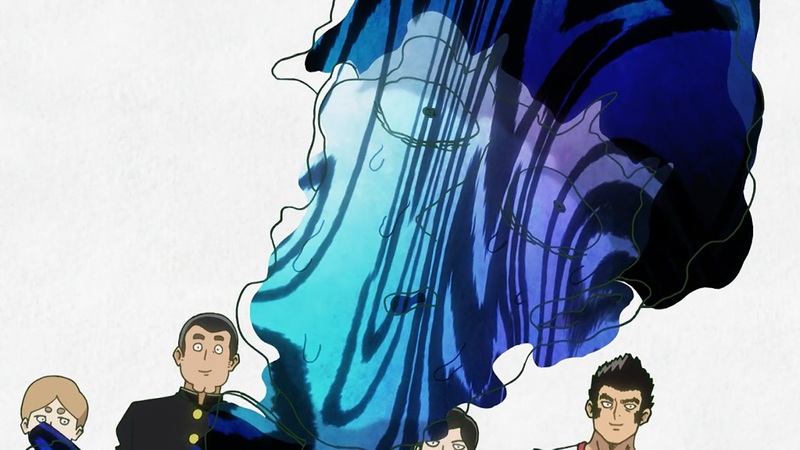 Episode two of Mob Psycho 100 was unsurprisingly less filled with outstanding pieces of animation than the premiere. Is the show already losing steam? Is it a letdown? Is everything over?! Hell no! This time, the storyboard artist in charge was Yoshitomo Yonetani. Some may recognize him as the guy who happens to be directing Food Wars S2 this season, but less obvious is the fact that he storyboarded Yoshimichi Kameda’s debut as a TV anime animation director (Space Dandy #22) as well; it’s rather appropriate then that he was asked to work on Mob Psycho, Kameda’s TV anime character designer debut. He’s a director with a knack for exciting, intense and flashy storyboards. And it showed here! Despite lacking the explosive sequences of last week, if I had to describe the vibe I got from this episode it would be energetic. The dialogue flowed fast, and Yonetani made sure every scene felt lively. Even the environments came alive, as the varied spectacle continued and Mob’s anxieties took – or rather, lost? – physical form. This was an adequate episode within an outstanding series. Who could have guessed that Yonetani is also directing Food Wars? The episode director (enshutsu) Takefumi Anzai is a Studio BONES regular. He started off there as a production assistant in 2001, and has kept on working with them and P.A. Works ever since. As is the case with most episode directors, information is scarce unless their storyboarding prowess is outstanding. If they haven’t gotten the chance to direct a full series before, it takes notorious skill and idiosyncrasy to get noticed and have personal details surface on the net. What I can say about him is that Masahiro Ando – director of Sword of the Stranger and recently Snow White with the Red Hair – trusts him a lot; so much so that he is usually put in charge of the first episodes of Ando’s shows, which is usually a task entrusted to either the series director or an in-house ace. It’s also worth mentioning that Kameda noted on twitter how Anzai added some extra movements to the basketball scene. As it turns, he was part of a basketball club in the past! Just like last week, the animation staff was dominated by women (13F/8M key animators). Animation director Ayumi Yamada had, as far as I know, never worked with BONES before. She was probably approached by director Tachikawa, whom she worked with on Terror in Resonance. She tweeted she was under a lot of pressure having to follow up after Kameda’s episode, but as you can see she received lots of praise for a job well done. Admittedly everything’s easier with really strong animation designs to work with, but she rose to the challenge nonetheless. 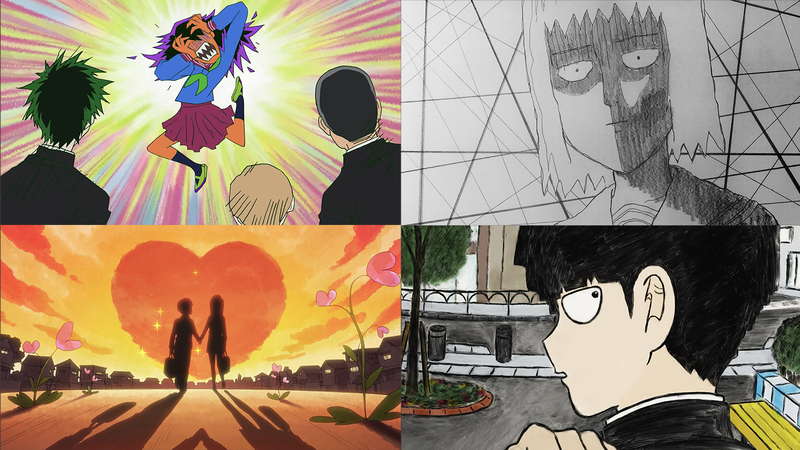 As for the animation highlights, my picks this week are: takoyaki sakuga, massage exorcism sakuga and glasses creep spirit sakuga. Sadly there’s no info on which animators did these scenes, but hopefully sometime in the future we’ll get some confirmation. Kameda tends to be very open with this kind of information, revealing it himself and being glad to answer the questions that fans throw him on twitter. 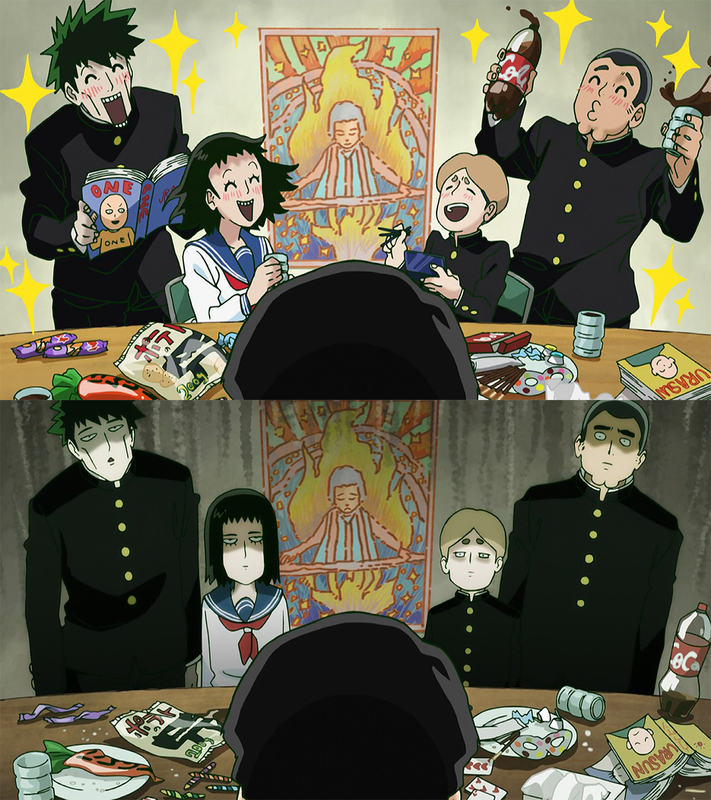 Either way, I’m glad the show manages to retain its quality even when the top staff isn’t present. Next episode is a big one – really looking forward to it! Many people were surprised by this ending produced through rather unconventional means, at least as far as TV anime is concerned. 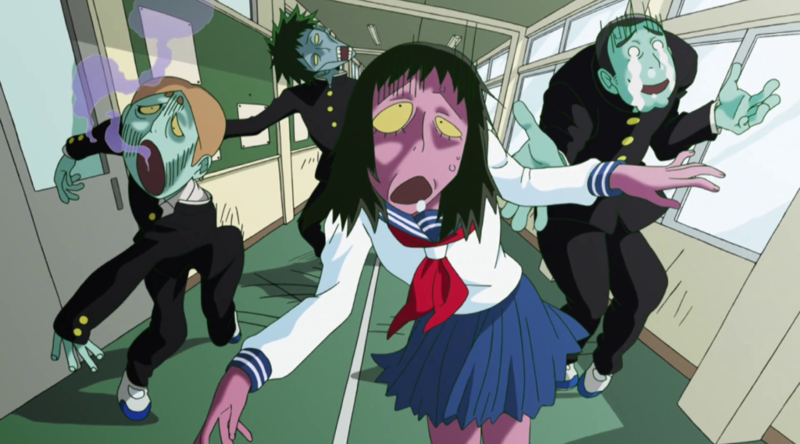 Miyo Sato, who has been confirmed to be regularly working on the show, animated the whole sequence using a technique called Paint-on-glass; the animator applies oil paint on a sheet of glass and gradually alters the shapes they create, and during this process, a camera records each finished ‘frame’. The best regarded specialist is the legendary Academy Award-winning animator Aleksandr Petrov – check him out. Miyo Sato graduated from Geidai (Tokyo University of the Arts) in 2015 and is now working under a web production company called Yellow Workers. Kameda hinted on twitter that her work on next week’s episode is really impressive, so that’s another thing be excited for!